Hindustan Times reported that critics and activists have said that Aadhaar is an infringement of privacy as it links enough data to create a full profile of a person’s spending habits, their friends, property they own and a trove of other information. There have also been concerns over data breaches. On Thursday, a battery of Senior Advocates, including Gopal Subramanium, Meenakshi Arora, KV Viswanathan, Arvind Datar, KTS Tulsi, Anand Grover, Sajan Poovayya as well as Advocate Prashant Bhushan had argued against Aadhaar, according to Bar & Bench. LiveLaw reported that the judgment in Binoy Viswam v. Union of India will continue to prevail as far as the requirement of Aadhaar for PAN under the Income Tax Act is concerned. 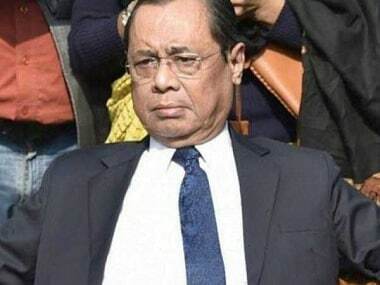 The bench was headed by CJI Dipak Misra and comprised Justices AK Sikri, AM Khanwilkar, DY Chandrachud and Ashok Bhushan, reported The Indian Express. On Thursday, the Centre had told the Supreme Court that the deadline for linking mobile services to Aadhaar had not been extended by it because it pertained to a different case. The court had to pass a separate judicial order for that to happen which it did today. Meghalaya chief minister Mukul Sangma said on Thursday that Aadhaar will not be made mandatory in the state, reported The Times of India. He also added that his government will convene a meeting with bankers and financial institutions and also seek clarity from the Centre in view of "conflicting directions" issued by its ministries, thereby creating confusion among citizens. Attorney General KK Venugopal, said in court on Thursday, that the Centre was considering extending the last date for linking Aadhaar and mobile phone numbers to the same date, reported The Indian Express. However, he said a judicial order was required for this. A five-judge Constitutional bench of the Supreme Court headed by Chief Justice Dipak Misra will pronounce its interim order on the Aadhaar-linkage case at 10:30 am on Friday, reported LiveLaw. Further, the bench has scheduled the matter for final hearing on 10 January, 2018. The Aadhaar matter was mentioned by Attorney-General KK Venugopal, who demanded that the case be heard in March. This was objected to by Senior Advocate Shyam Divan, according to LiveLaw. Gopal Subramanian added that there should be no compulsion for linking various services with Aadhaar if the hearing is postponed. The petitioners had termed the linking of the Unique Identification Authority of India (UIDAI) number with bank accounts and mobile numbers as illegal and unconstitutional and strongly objected to the CBSE's move to make it mandatory for students to appear for exams. Divan, appearing for some of the petitioners, had earlier contended that final hearing in the main Aadhaar matter, which is pending before the apex court, was necessary as the government "cannot compel" citizens to link their Aadhaar with either bank accounts or mobile numbers. CJI says he will try to constitute a bench at the end of November. New Delhi: The Supreme Court reserved its order for Friday on a clutch of interim pleas seeking a stay on government's decision of mandatory linking of Aadhaar with welfare schemes, as the Centre conceded saying it would extend the deadline up to 31 March 2017. Hoever, the Centre vehemently pressed before the five-judge constitution bench headed by Chief Justice Dipak Misra for allowing the national biometric identifier to remain mandatory for opening new bank accounts. The bench, also comprising Justices AK Sikri, AM Khanwilkar, DY Chandrachud and Ashok Bhushan, heard arguments in support and against the mandatory linkage of Aadhaar for nearly three hours in a packed courtroom and said it would pronounce its interim order Friday morning. 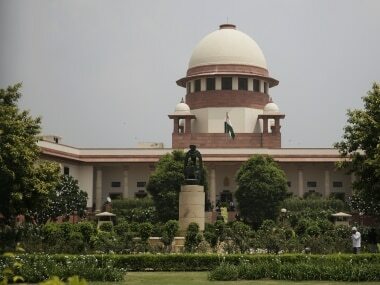 The top court, which fixed the main petitions challenging the Aadhaar scheme itself for final hearing on 17 January, 2018, said it would consider the submission of Attorney-General KK Venugopal that deadline of 6 February, 2018 for mandatory linking of Aadhaar with mobile services can also be extended up to 31 March 2018. Venugopal referred to an earlier apex court order asking the Centre to ensure verification of existing and new mobile users by 6 February and hence, the government, on its own, cannot extend the deadline. "The deadline for almost everything has been extended," the top law officer said, adding that Aadhaar was mandatory for new bank accounts and several crores of existing bank accounts have already been linked. "If everything is extended till 31 March, we can take it (matter) up in the second week of January," the bench said. 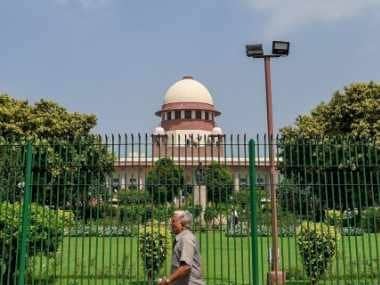 This led a battery of senior lawyers including Shyam Divan, Gopal Subramanium, Arvind Datar, KTS Tulsi, Meenakshi Arora, K V Vishwanathan and Anand Grover, representing those opposing Aadhaar, to plead in unison for a direction to the Centre that no coercive action be taken if a person refuses to provide Aadhaar to avail services and benefits. At the outset, Divan referred to various orders passed since 2013 by several benches of the apex court to highlight his point that Aadhaar was "voluntary" and not "mandatory" and it was meant to be used in few schemes like PDS, LPG, MGNREGA and Jan Dhan Yojna. 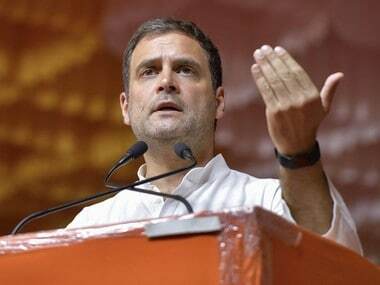 The apex court had time and again made it clear that no person shall be deprived of any benefit, which otherwise accrue to him, for want of Aadhaar, but these orders have been violated with impunity by the Centre which has come out with as many as 139 notifications making Aadhaar mandatory for almost everything, he said. "The government went on a notification spree curtailing individual freedom and privacy despite interim orders from the Supreme Court that Aadhaar is voluntary" while continuing to assure the court that it will be a voluntary scheme, he said. Divan passionately argued and referred to various notifications and reports on making Aadhaar mandatory for HIV patients, CBSE, JEE, UGC scholarship, nursery admissions and said these actions "diminished the majesty and authority" of the Supreme Court orders. 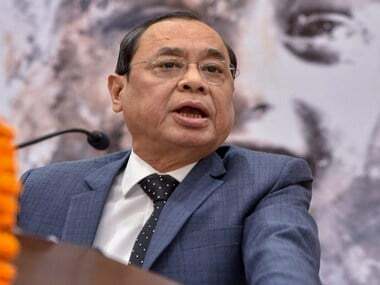 The CJI cut short Divan's arguments, saying he should stick to the pleadings rather than "hyperbole, rhetorics" and said the court will not be guided by news reports. "You may have a point on constitutionality, legality. You have a point that these circulars deprive persons dependant on social welfare. But all this material should be on record before us and the other side (Union) should be in the know," the bench observed. Venugopal said he may not be able to defend authorities like Uttar Pradesh and UGC as they are not parties here and notices have not been issued on those interim applications. Subramanium and other lawyers also said that the Aadhaar legislation cannot take away the basis of the apex court orders that the scheme was voluntary. Senior advocate Anand Grover raised the issue of data safety and said some persons and companies involved with the scheme, were connected to US agencies like the FBI and the CIA and were also providing services to some Pakistani departments or authorities. The government had yesterday issued a notification to extend till 31 March the deadline for mandatory quoting of Aadhaar and Permanent Account Number (PAN) for bank accounts and certain financial transactions. However, there is no word on extending the 6 February, 2018 deadline for linking mobile SIM cards with Aadhaar. They have also objected to the CBSE's alleged move to make Aadhaar mandatory for students appearing for examinations, a contention denied by the Centre.